masks | QuantumPhoenix.net – Esoterica, Paganism & Ritual Magic. 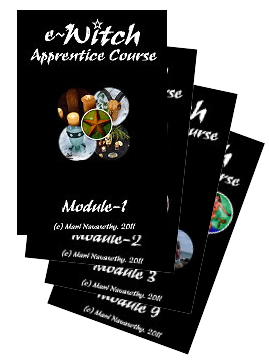 An outdoor experiential course suitable for all beginners, and those following the Pagan or Wiccan path, with an interest in ceremonial / ritual working with Horned God forms and Moon Goddess forms. Such work is transformative and deeply empowering. • God forms in Wicca: Cernunnos, Hern, Pan, Green Man, Dark Lord (Death), Sun God, Odin, Osiris …amongst others. The symbology of Horns, hooves, antlers are explained, as well as some discussion on the demonising (Pagan god seen as satan/ devil) of the god by non-pagans. We’ll deal with any hidden fears, old conditionings and prejudices, and work transpersonally to reconnect with the Horned God of Wicca and his empowering wildwood energies. Chants will be taught and used. • Moon Goddess in Wicca: We’ll explore the Triple-Goddess imagery used in Wicca- maiden, mother and crone, as well as the various other significant examples used in wiccan wheel of the Year. • Wheel & The God-Goddess cycle of the Year : explained with diagrams and notes- ie the maiden Persephone’s abduction at Autumn, motherhood, rejuvenated Bride arriving back to land at Imbolc; Marriage of God & Goddess at Beltane; the sacrifice of the God at Lammas; coming of Dark Lord at Samhain; Birth of Sun-child at Yule and more. 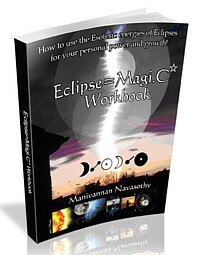 • Invocations, evocations and Charges of God & Goddess : What happens after circle is cast and energy raised in a coven? How are the god & Goddess brought into the Circle? Who carries those energie? What is the Drawing down of the Moon? And Sun? How does working with God & Goddess empower Witches? All will be explained. • Examples of invocations (use on your own at home or group rituals). • Use of masks/ crowns/ horns & props – for working with wildwood God & Goddess energies. • Divine Masculine & Feminine pathworking with various symbolisms (transpersonal created to work with intuition & subconscious mind for empowerment) – to meet the God and Goddess. During the course, Please refrain from chit-chats or constant interruptions. All personal matters shared in our sacred space must be kept confidential. please avoid using mobile phones during course delivery. wicca God & Goddess 12may18- Standard fee £18 per person. wicca God & Goddess 12may18- Concession fee: £13 per person. Alternatively you may RSVP now ..send a message to tutor to reserve a space…and pay fee by cash at the course at start. Meeting point: Woodman’s Pub patio/ garden. ( Archway Road). meeting Time: 11.00 am meeting at Woodman ‘s pub garden. Please arrive early for coffee/ snack and some meet and greet with fellow students. Course begins at 11.30am in woods.. Course will run with tarpaulin cover over our seating area. Come dressed appropriately for (insects abound in summer time). • Bring comfortable cushion/ blanket / throw to wrap up ..during meditative work (or if it’s just cold). • Please wear outdoor appropriate clothing/ shoes. • Strictly no drugs any time! • Note books/ pen . -Not allowed during course delivery & practise. -Do take notes!! Some printed notes will be provided. e-mail additional notes sent afterwards. Attending the course indicates you will abide by all guidelines set here in.